The C&O Canal National Historical Park is sweetening the New Year's Day hiking experience with prizes and social media connections. 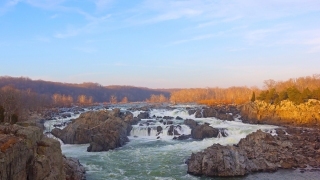 The Great Falls Tavern Visitor Center in Potomac is headquarters for the hike on New Year's Day. Visitors who prove they have hiked a trail by finding and answering a secret question will earn a prize they can collect after Jan. 1. Park managers also are encouraging people to post photos of their first-day hikes on social media. First-day hikes in local, state and national parks have become a popular way to begin the new year. The American Hiking Society says 28,000 people participated last year. Managers of the C&O Canal say the event also marks a kickoff of the National Park Service centennial celebration.